Atelier is a program started by the N'Namdi Center in order to teach students the skills needed to run an art gallery. The aim of the new atelier, staffed by veteran artists, art educators, museum curators and gallery owners, is to help grow Detroit’s nascent creative community and develop skilled arts entrepreneurs with a special emphasis on people from diverse backgrounds. Manuel Mendive - "Living Images" / Osi Audu - "Thinginess and Nothingness"
Curated by George N'Namdi, this series of exhibitions will present the works of artists who have made a significant contribution in furthering the paradigm of abstraction. 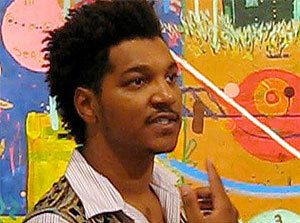 Beginning in the fall of 2011 with master painter Ed Clark, the series will be a mainstay of the N'Namdi Center for Contemporary Art. This national juried exhibition curated by national artist/educator Najjar Abdul-Musawwir. Artist working in 2D and 3D form from around the United States are invited to make online submissions for the theme "Language of Abstraction: Communicating with direct route to the intellect." Exhibition will be held in Fall 2011. Works will be juried on the use of abstraction as a visual language for formalism and narrative expression. Curated by Dennis Alan Nawrocki, this exhibition, scheduled for 2012 is both a blast from the past and a look into the future. Featuring classics of art from the Cass Corridor, and a sampling of fresh offerings from a new generation of Detroit artists. Works will include found objects, sculpture, heavily textured items, and thick, clotted paint. 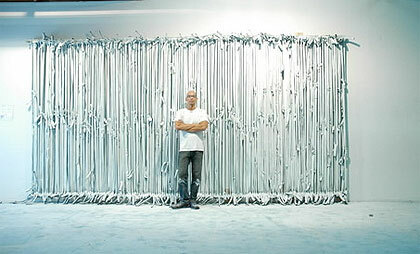 The N’Namdi Center for Contemporary Art presents New Departures and Transitions: Medium, Materiality and Immateriality. In this inaugural curated show for the N'Namdi Center in Detroit, curator Michael Stone-Richards invited a group of artists to take the stunning space and vaulted rooﬁng of the Center to project an embodied sense of new departures and transitions in the creation of a multi-visual and richly sensuous environment of sensations and thought. Artists in ceramics, video, photography, fabric and painting were invited to transform the space of the gallery into an environment of new trajectories, departures and transitions.